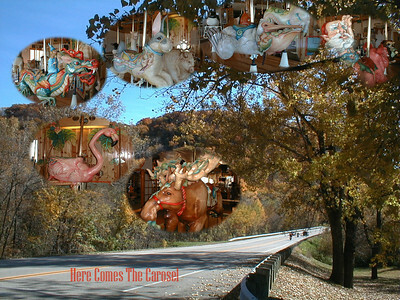 The carousel at LARK Toys is unlike any other carousel in the world. 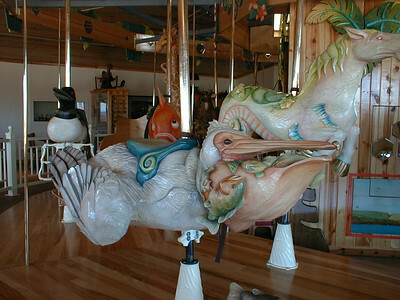 Hand-carved from basswood and designed with exquisite detail, each animal is a rideable work of art. 63604 170th Ave, Kellogg, MN 55945 larktoys.com The carousel runs every 30 minutes and costs $2 to ride. We are a family: Kathy and Ron Gray, Miranda and Scott Gray-Burlingame. We lived in the Twin Cities for many years and then discovered the beauty of Southeastern Minnesota and the scenic Mississippi River Valley. 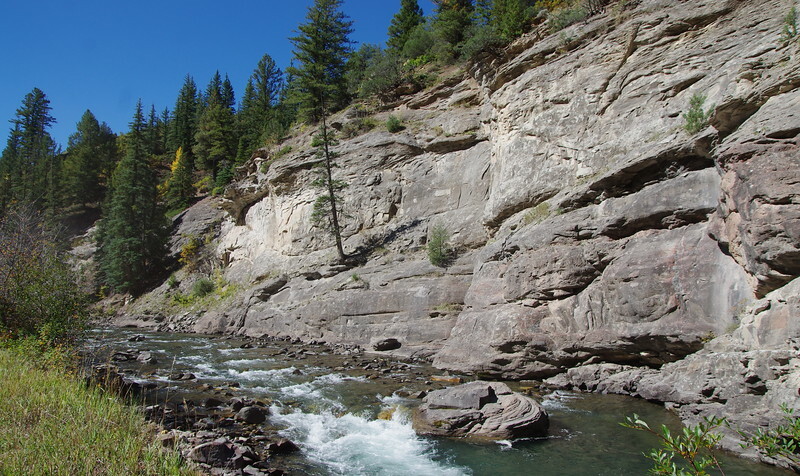 We are here because we believe there is still a place in our community, our economy, and our society for a family-owned and operated business where people do what they love and love what they do. 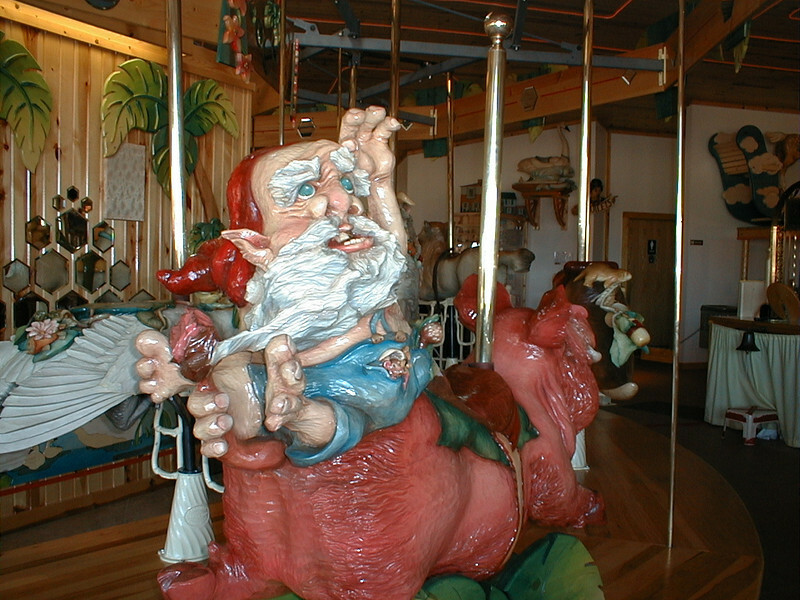 In 1988, Donn began to design a carousel, “the largest toy I could make,” he says. 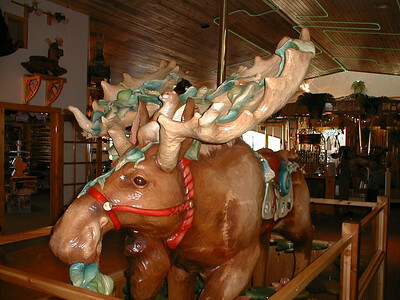 Over a period of nine years, Tim Monson (LARK’s head toymaker) blocked-up the wood; Bill Stark (a local artisan) carved the animals; and LARK artist Mary Eversman hand-stained them. 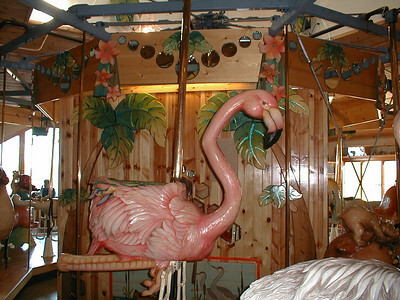 Many visitors had the opportunity to watch the carousel in process. Finally, in 1997, it was ready to begin delighting riders from around the world. The scenic 18-hole miniature golf course was added a few years later, offering outdoor recreational fun. Sarah, a gifted and passionate gardener, landscaped the course and the LARK property with exquisite flowers and plants. Kellog, MN -If you’re searching for the best toy store on the planet, many suggest the hustle and bustle of New York’s Times Square, or one of the historic shops in London… Or, you could take a trip to a town of not-even-500 people in the Mississippi River Valley. LARK Toys in Kellogg, MN was named one of the 10 best toy stores in the entire world by USA Today! It was a good trip until I saw this. 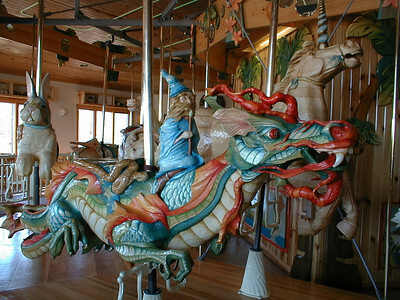 The carousel at LARK Toys is unlike any other carousel in the world. 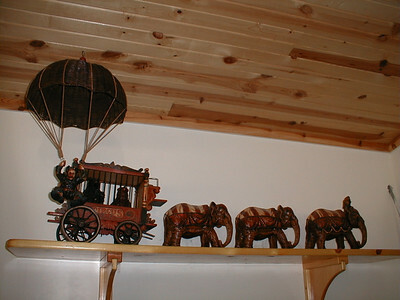 Hand-carved from basswood and designed with exquisite detail, each animal is a rideable work of art. 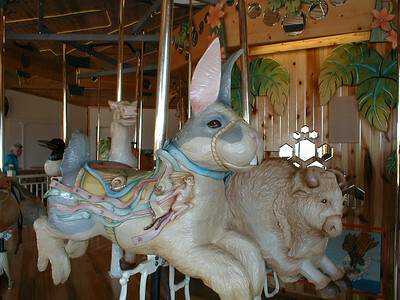 The carousel runs every 30 minutes and costs $2 to ride.